The Australian street circuit works best at the start of the year, kicking off a season with beautiful park scenery and chaotic twists and turns. When not in use, there's a 50 km/h limit on the streets, and overtaking is illegal, but when F1 comes to town, the speed ratchets up. It's a reasonably easy track to drive, with fast corners and few straights. Overtaking can be difficult but the incident level is always high, as drivers get to know their new machinery. Formula One’s season opening race absolutely has to deliver in terms of excitement and fulfilling the anticipation. The build up to the new year starts early, with launches and testing, leading to practice and qualifying, until finally, the drivers are lining up to kick off the first race of a brand new season - the first chance to prove their worth, to examine the reliability and potential of the new machinery, to get some very useful points on the board early. 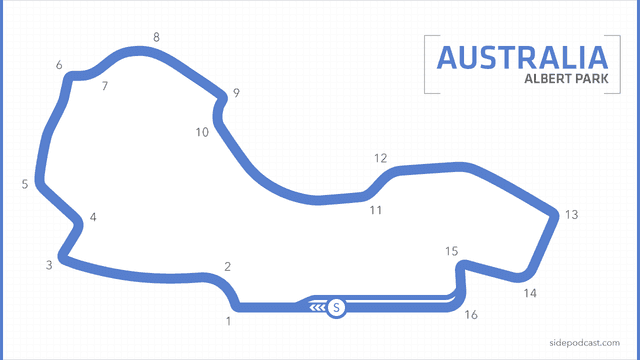 The tricky Albert Park circuit is the perfect destination to kick things off. It’s hard enough to provide a challenge for the drivers, but not so demanding that they are thrown in right at the deep end. With a hugely engaged and excitable crowd filling the grandstands, and a track nestling amongst the lush parklands under bright and sunny skies, the weekend offers up a picturesque start to the year. Grip is a key consideration, as the roads are used throughout the year by the public. Starting out slippery and green, the track evolves rapidly throughout the weekend, as rubber goes down and grip levels go up. Dirt is an issue to start with, and debris from the surrounding trees and parkland can make its way onto the tarmac and into the cars, but with plenty of support racing, the track is cleaned up reasonably quickly. With just a couple of straights and a majority of high speed sections, there are only a few slower corners to break up the rhythm and pace of a lap. Brake balance is key as the drivers learn every inch of their new cars, and start working on the ideal setup for the rest of the season. Mistakes are punished, with drivers having to work around the high kerbing and avoid the gravel traps as much as possible. 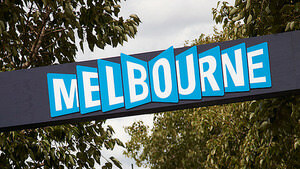 Learn more about Albert Park with the Pocket F1 Handbook. The German national anthem rings out over Albert Park. We're used to this tune by now, but it's usually a different driver on the top step! The pitlane just opened at the Albert Park circuit, drivers are pulling up at the pit exit to do practice starts - there's quite the queue. Credit: @Mattg81The skies over Albert Park during FP3. Changeable conditions, I'd say. There's a lot of talk of rain above the Albert Park circuit. Spits and spots here, and there. Amy, in particular, talks of taking her jacket on again/off again/on again.